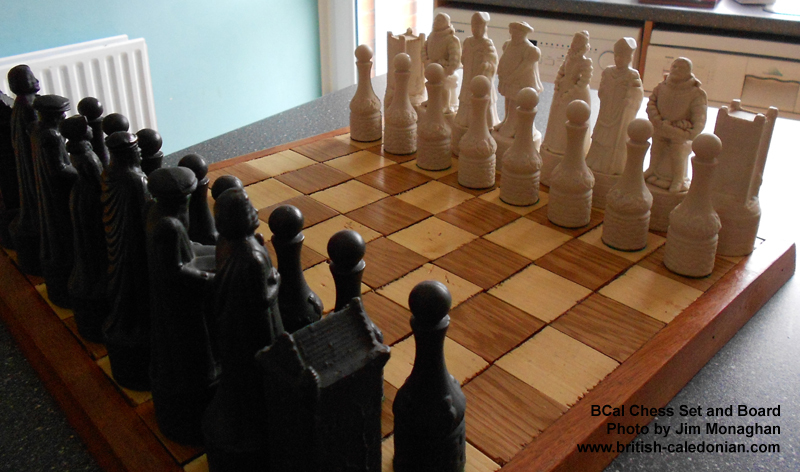 This is a picture of the Chess Set I collected on Lagos trips when they were been given to FC Pax. 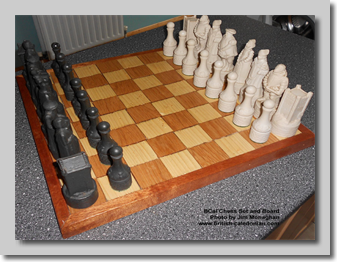 Guess the Nigerian pax were not into Chess as they were always left around unwanted. 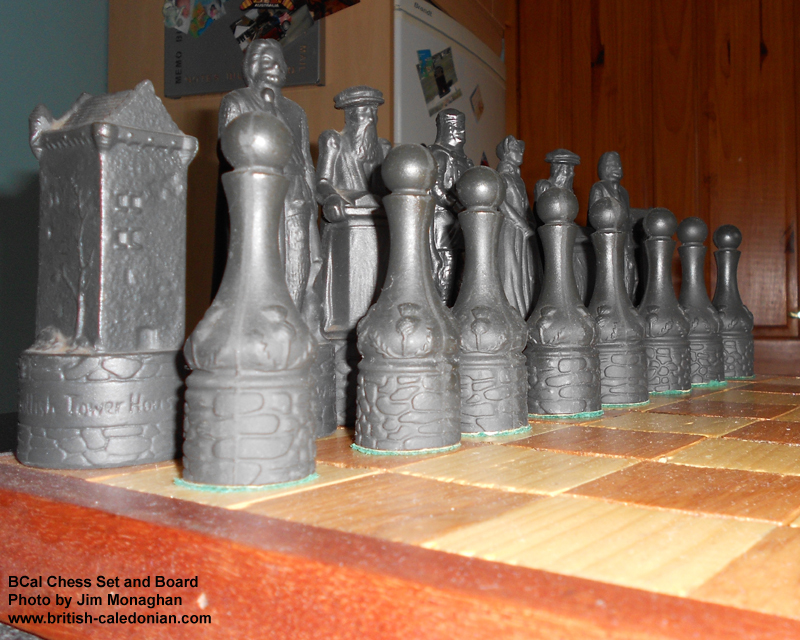 By swopping and then buying the Pawns I made up a full set. 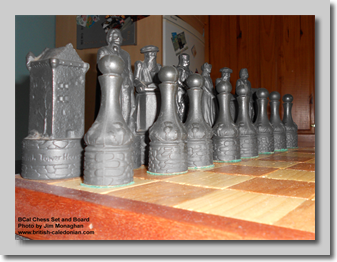 I gave it to my grandson for his 18th birthday. Talking to my son Paul, his Dad, about how the Whisky had evaporated from the pieces he assured me 'no', he and his mates had availed themselves of it when they were lads of 18. Silly me. 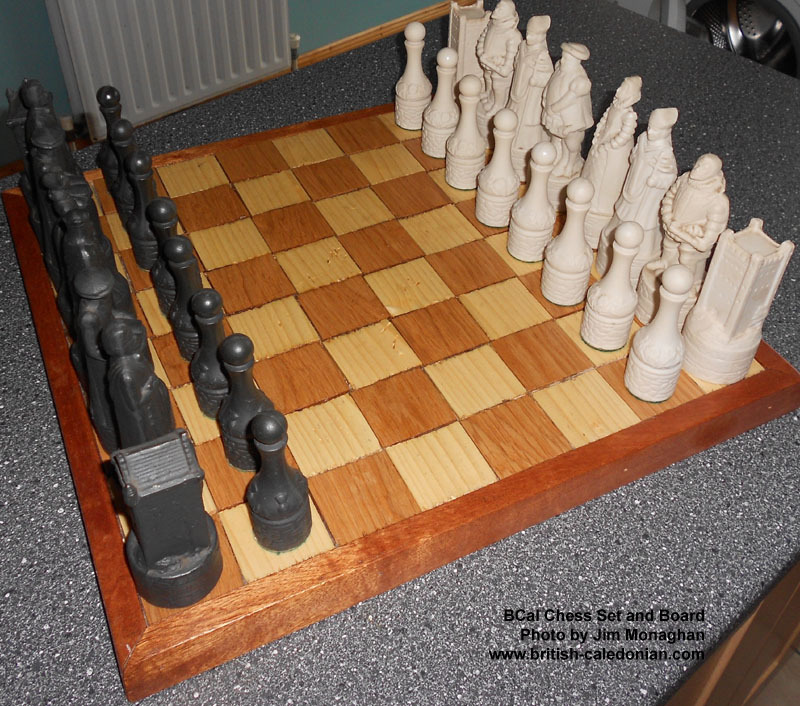 My brother made a Chess Board and the whole thing looks good. Good old BCal and thank you Nigeria.